It has recently come to my attention that there are traditionalist priests who are telling converts married outside of the Catholic Church that their marriages are invalid, and hence, they are living in a state of adultery, which is a mortal sin. It seems to me that this is a fundamentally wrong approach to the question. If this is a problem coming from traditionalist circles, there is another major one that comes from the progressivist circles. This problem is constituted by all the consequences that flow from the so-called “Catholic divorce:” the extraordinary ease in getting marriages annulled that was introduced by the Conciliar Church. The bad example of diocesans tribunals annulling marriages under almost any pretext sabotages the indissolubility of the matrimony. Here are some examples of the questions people are coming to priests asking for orientation. My daughter married a Protestant in the Catholic Church, but the priest asked the Protestant pastor to be present and give a blessing. Was this marriage valid? Thirty years ago, my mother, who was a Catholic, married my father, who was an atheistic. They married in the Catholic Church. Today a traditionalist priest told my mother that her marriage was not valid, and that she could get an annulment. This implies that the children are illegitimate, which seems absurd to me. But I don’t know how to defend my parents’ marriage. Would you help me? Was the annulment I received from the diocesan tribunal of my city effective? I thought so and married again. But today I am not sure any longer. What is my situation in face of Catholic Morals? If I will die tomorrow, what will I be held responsible for regarding my marriages? These are just a few of the complicated cases that a priest often has to face to give an orientation to the faithful. Trying to clarify and help resolve these moral and canonical confusions, which only tend to grow with the increasing liberalism of the Bishops, I decided to go through some of the best Catholic books to study what the Church has always taught on these topics, and write some articles. TIA offered me to post them on its website, and so, here I am with my first article on marriage. Instead of starting by presenting solutions for particular cases, I thought that it would be better first to refresh the memory of the faithful on Catholic doctrine about marriage. This doctrine, which seems often to be forgotten or set aside by ecclesiastics, is wise, clear and precise. The simple fact of expounding it in an ordered manner will give, I hope, healthy criteria to the reader, and allow him or her to be securely situated on the topic while looking for solutions for specific problems. Matrimony is a word that comes from the Latin: Mater, mother. This is because the first end of marriage is to make the maid a mother, generating children. Marriage, from the Latin maritare, “to wed, marry, give in marriage,” refers to the contract made by the couple. It is a mutual alliance they enter into when they swear to support one another and be together to the end of their lives. This is the reason why the ring the spouses exchanged in the wedding is also called alliance in some languages. It is to remind them of their oath. The Catechism of the Council of Trent gave this definition of marriage: It is the conjugal union between a man and a woman, both in legal status, establishing a perpetual and indissoluble communion of lives. St. Thomas Aquinas and the Council of Trent explain that the goals of the marriage are two: the primary goal is the procreation and education of the offspring; the secondary goal is the mutual support of the spouses, either psychologically or as a remedy for concupiscence (Summa theologiae, Supplementum, Q. 67, a. 1, ad 4th; Catechism of Trent, Part II, VII, §§ 13-14). The definition of marriage and its goals apply to both: the marriage between two non-baptized persons and the marriage between two baptized persons. 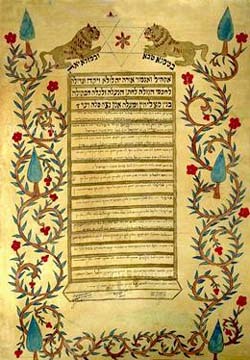 In the first case, we have the marriage according to Natural Law, which is defined as a contract where a man and a woman legitimately give to one another the right to accomplish the necessary acts for the procreation and the education of the children, and oblige themselves to live together in a common life. In the second case, we have the marriage according to the Catholic Church, which is the same contract that was elevated by Our Lord Jesus Christ to the level of a Sacrament (Dictionnaire de Theologie Catholique, entry “Marriage,” cols. 2044-2045). Why did Our Lord institute marriage as a Sacrament? Because of the deviations and disparities that marriage suffered in the realm of Natural Law. This leads to the question: What is the marriage according to Natural Law? Marriage according to Natural Law was instituted by God when He created Eve and gave her as a companion to Adam. The reason for her creation was given even before original sin was committed: “It is not good for man to be alone; let us make him a help like unto himself” (Gen. 2:18). Another reason was added after original sin was committed: “Increase and multiply and fill the earth” (Gen. 1:28). That God created a single couple conferred to marriage its principal characteristic: the marriage is one, that is, one man marries one woman; and it was meant to be perpetual, that is, for the whole life of the couple. Therefore, according to Natural Law, marriage is one and indissoluble. All the Patriarchs and Prophets, as well as the Pagans, lived in the state of Natural Law marriage until the coming of Our Lord Jesus Christ. Some generations after Adam and Eve, however, the first characteristic of marriage was broken. The unity of marriage was marred by the introduction of polygamy. Later, its indissolubility was also violated when Moses admitted the repudiation of an adulterous woman as a cause for divorce with re-marriage being allowed. Both of these deviations were allowed among the Chosen People because of the “hardness of their hearts” (Matt 19:1-9). If these moral defects were institutionalized among the elect people, it is not difficult to imagine the extremes of moral perversity that the Pagans reached. “Polygamy, polyandry and divorce were the causes of an extreme relaxation of the nuptial bond. Also a great confusion sprang up over the mutual rights and duties of the spouses, insomuch as a man assumed right of dominion over the wife, allowing him to repudiate her without a just cause; while, at the same time, he was at liberty to give free course to his unbridled passions …. “When the licentiousness of a husband thus showed itself, nothing could be more piteous than the wife, whose degradation was so great that she was considered only as a means for the satisfaction of his passion or for giving him offspring. The ignominy reached the point that, without shame, marriageable girls were bought and sold, like so much merchandise, and power was sometimes given to the father and husband to kill the daughter or wife. The offspring of such consortiums were necessarily reckoned either goods of the State or the property of the head of the family” (Arcanum Divinae Sapientiae, n. 7). To correct this general decadence into which marriage had fallen, Our Lord reaffirmed the unity and indissolubility of marriage, and raised it to the rank of Sacrament. The Sacrament of matrimony confers a grace to the natural marriage. This is what its sacramental character signifies. 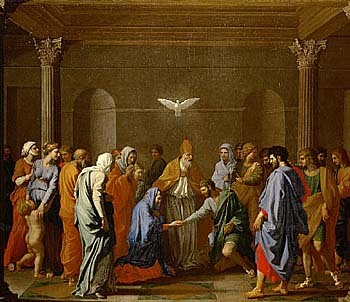 The Council of Trent explained: “The grace that should enhance natural love, consolidate the indissoluble union [of the marriage], and sanctify the spouses was merited by Christ in His Passion, He who is the author and end of the venerable Sacraments” (Denz. 971). The sacrament improves natural love by giving spouses a supernatural model for their union. They should love each other as Christ and the Church love each other (Eph 5:22). It confirms the indissolubility of the conjugal union adding gravity to any infidelity committed against it. There is more than a natural obligation involved in the indissolubility. With the sacrament, any violation of the conjugal fidelity becomes a sin that cuts the guilty spouse from the state of grace and threatens Him with the loss of eternal life. It also adds a new perspective to the life of the couple and the family. In the natural marriage, it was supposed that the spouses should help each other and bear one another in this life, and educate together their offspring who were meant to populate the Earth. In the sacramental marriage, one spouse is meant to help sanctify the other and the offspring are seen not just as a means to populate the Earth, but principally Heaven. These are the graces given to marriage characterizing it as a sacrament. 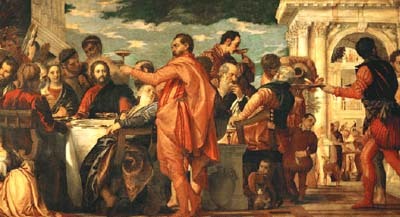 By raising marriage to the level of a sacrament, Our Lord in many senses transformed it into a different reality, like the water that He transformed into wine at the wedding of Canaan. This solid doctrine that distinguishes the Natural Law marriage from the sacramental marriage permits me to affirm that those who say that Natural Law marriages are invalid are making a great mistake. It is a false thesis that has no fundament in Catholic doctrine. 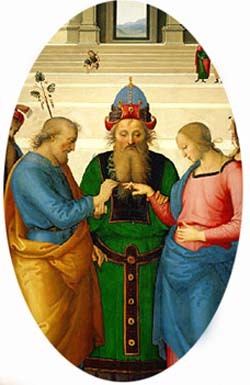 Whosoever would defend this would have to sustain as a consequence that the marriages of the Old Covenant were invalid, which would include the marriages of all the just men and women – that of the Patriarchs, Prophets and Saints who were married before the time of Our Lord, including the union of St. Joachim and St. Anne, St. Zachariah and St. Elizabeth, and even the marriage of St. Joseph with the Most Holy Virgin Mary which was celebrated before the sacrament was instituted by Our Lord. It seems to me that this thesis is not only absurd, but also repugnant to the Catholic sense as something close to blasphemy. One might conclude: All marriages made outside of the Church, therefore, are marriages according to Natural Law, and as such, valid. This is not what I affirmed. There are many differences regarding such marriages: marriages before a civil authority in defiance of the Catholic marriage; marriages in false religions, and marriages among pagans. To avoid confusion, these matters must be dealt with one at a time. It is what I hope to do in my next article.